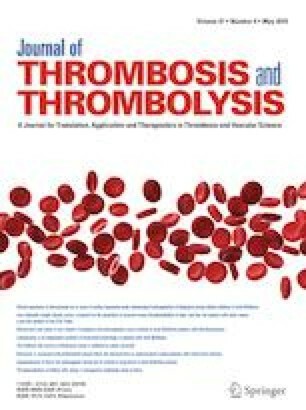 The rs7903146, an established genetic variant susceptible to type 2 diabetes (T2D), is also reported to be related to ischemic stroke (IS), though conflicting. Furthermore, it remained unknown whether the genetic association with stroke is independent of T2D. In the current study, 1603 individuals across 986 families were included. The genetic pleiotropic effect on each outcome diseases (T2D, overall IS, or each subtype) was assessed using multilevel logistic regression after adjustment for multiple covariates. Principal component of heritability (PCH) was also used to assess the pleiotropy by combining T2D and IS into one outcome for analysis. To identify the T2D-independent path out of the pleiotropic effect on IS, T2D status was additionally adjusted for the risk of IS or each subtype. The analyses of putative molecular pathways (dyslipidemia, hypertension, obesity and inflammation) and gene-lifestyle interactions were also performed. We found that rs7903146_T allele was associated with a 77% higher risk of T2D, 55% of IS, and 70% of large artery atherosclerosis (LAA) subtype respectively. Particularly, a T2D-independent genetic effect was identified to increase the risk of overall IS and LAA. No evidence on the molecular mechanisms and gene-lifestyle interaction behind the pleiotropic genetic effect was observed. In conclusion, our study provided evidence that a T2D-independent path was identified out of the pleiotropic effect of rs7903146 on IS. However, further studies were needed to validate the biological mechanisms behind the pleiotropic effect and the modification by lifestyle intervention. Jing Song and Yiqun Wu have contributed equally to this work. The online version of this article (doi: https://doi.org/10.1007/s11239-019-01855-4) contains supplementary material, which is available to authorized users. We would like to thank all the participants, the project staff, and Beijing Fangshan District Center for Disease Control for their help with the fieldwork. This study was supported by grants from the National Natural Science Foundation of China (81230066, 81102177, 81172744, 81573226, and 81703291).